This long-term trading system works on 20 pairs and 1 timeframes. The Expert Advisor uses various trading systems, such as trend trading, countertrend trading and others. This increases the chances of sustained growth and reduces exposure to a single pair or individual operations. The risk is tightly controlled. The EA has the built-in smart adaptive profit fixing filter. It does not need arrival of every tick and high execution speed. The EA works with all brokers. No hedging, martingale, grid and other risky strategies. For the EA operation, open Tools > Options > Expert Advisors. Check the option "Allow WebRequests for listed URL:". 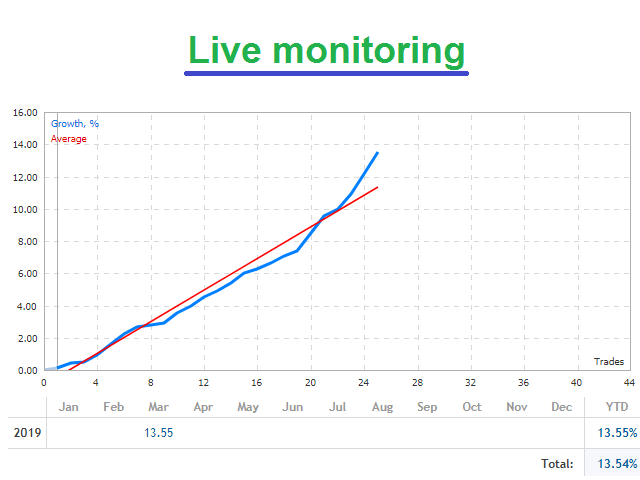 Add https://ec.forexprostools.com, https://time.is/UTC and click OK.
For the strategy tester: the EA provides integrated data on economic news from 2010.01.01 to 2019.03.01. 1. The strategy has been fully updated. 2. 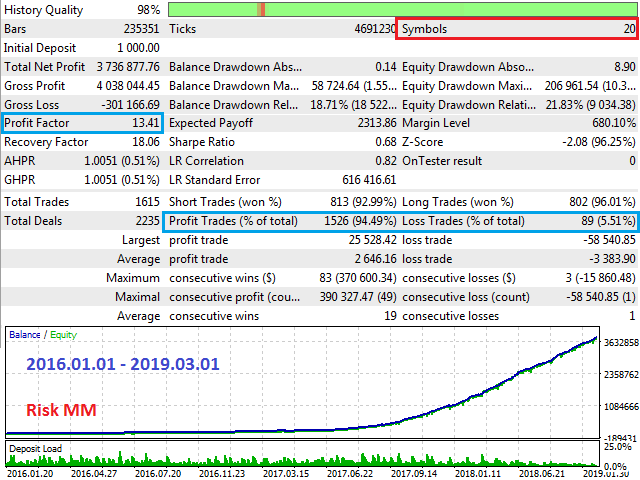 For the strategy tester: the EA provides data economic news 2010.01.01 - 2019.02.01. 2. For the Strategy Tester: economic news data from 2012.01.01 to 2018.07.15 are built into the EA. 1. Fixed the placement of pending orders. 2. For the strategy tester: the EA provides integrated data on economic news from 2014.01.01 to 2018.01.01.